Now that it is over, it does not appear that Mexico’s Summer of Soccer was the unqualified success that most fans were expecting. If anything, it seemed to solidify the position that Juan Carlos Osorio has become the most polarizing coach since the 1980’s. So we sat down with two folks, one decidedly ProOsorio and the other is just as AntiOsorio in his positions. What follows are their responses to 5 key questions. Is Osorio the right man for Mex right now? ANTIOSORIO: If we look at the way the national team crashed in its two biggest tourneys under the Colombian (Copa America Centenario and FIFA Confederations Cup) I would have to say No. And it is not so much that Mexico was bested by Chile and Germany but the form in which the team was defeated: completely outclassed. It is to the point that many fans who considered this generation of players one of the best ever – a golden generation – to start questioning the team. They are even going as far as to say that maybe they are not good enough. When we compare those results to the way Mexico has performed against top opposition in games that have mattered over the past 30 years, then we can see that the national team has regressed. Mexico’s goal at the World Cup is of making it to the quarterfinals of playing a fifth game. Juan Carlos Osorio’s track record is showing us that if we face a top team in the finals that the outcome will not be pretty. PROSORIO: At this point, For all practical purposes, the proceso is finished. Aside from a couple of qualifiers, there are not that many games left to prepare for the World Cup. The coaching staff has repeated ad nauseam, that the goal is a good performance at the world cup. Everything has been planned to lead up to next summer. I know it pains many Mexico fans to hear this, but the results last summer and the results this summer really don’t mean all that much other than getting players ready to play next summer in Russia. Yes, there have been a lot of player rotations. Yes, a lot of players have played out of position. There may be a time when player and he may be forced to play out of his comfort zone when the stakes are highest. The players like the coach. The Federation has backed him. The only thing left to do is play the World Cup. With expectations the lowest they have been in a generation this could be the tournament or Mexico finally makes that 5th match. How effective are JCO’s player Rotations? PROSORIO: While Rotations have gotten a bad rap from sectors of the media, and have divided fans opinions, they have been effective to the point that Osorio will continue to use them. Moreover, the Mexican Football Federation have claimed to back the strategy. Looking at the national team’s results – qualified to the knockouts in every tourney played, leading the CONCACAF Hexagonal whilst registering Mexico’s most comfortable World Cup qualifying campaign in recent times. We can say that the positives have outweighed the negatives. Obviously, the World Cup will be the ultimate test and if Mexico achieves their goal of playing a fifth game then JCO system of rotations will be seen in a new light. ANTIOSORIO: They have not been effective at all. This is a group of players that have played together for the past couple of cyles, and some for upwards of 10 years. It seems to me that the most logical step to take with the generation of players who have been together as long as Mexico has is to stick to what works best for them. I understand player rotations when the club team has upwards of 60 games to play in the season. But in short tournaments when a team like Mexico needs to be at their best just to advance to the elimination stage, the philosophy of player rotations will never work. Mexico does not have enough depth to tinker with the starting lineup when the players in the second 11 are nowhere near as good as the players in the first 11. 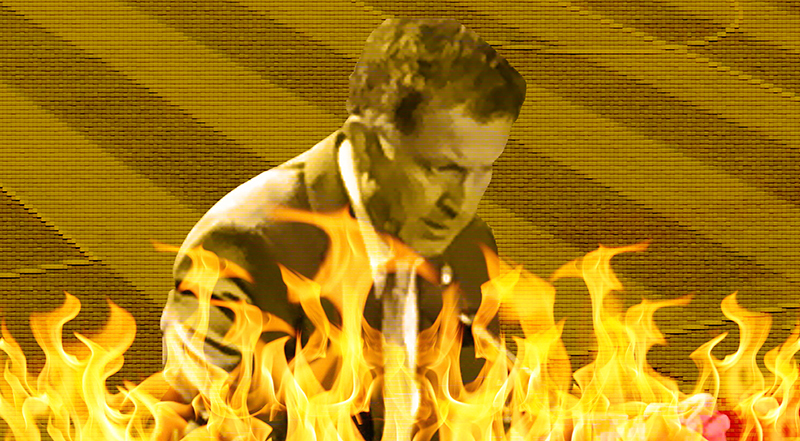 Juan Carlos Osorio is fired tomorrow. Good or bad long term for Mexico? ANTIOSORIO: Neither! Mexico has made it a habit of using 2-3 coaches per World Cup cycle. And each time the result culminates with a round of 16 exit. It was the same result when Lavolpe was allowed to complete a full cycle. The concern in sacking Osorio is that coaches will not take Mexico serious, but that is far from the truth. Right now in Liga MX there are a handful of coaches willing to take over the reins in a moment’s notice. As for having a “world class” coach at the helm, history has shown it won’t matter much. Mexico has had two already in Cesar Luis Menotti and Sven Goran Eriksson, and neither completed their cycle nor did they have the national team playing like a World beater. When it comes to improving the Tricolor the notion of having a top coach is the equivalent of putting the cart in front of the horse. 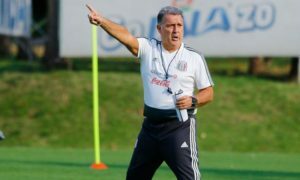 The changes needed for Mexico to improve need to start at the bottom from improving coaching at all levels to restructuring Liga MX to make it more competitive. Until those improvements are met it won’t matter much who is coach because their influence will be temporary. PROSORIO: Sacking Osorio now would be devastating to Mexico’s long term goals. The main reason, of course, is that what little credibility FMF has left would evaporatE if they decided to make this move. At that point, what coach, foreign or domestic, would ever consider taking a job with these schmoes running the show. Keeping Osorio till the final curtain falls would at least give the future coach, whoever he may be, a little more peace of mind that he will have some job security. The reason Mexico has Osorio as their coach in the first place is because that situation played out when Osorio was hired. He was not the first choice. He was not the second choice. He was the third or maybe even the fourth choice. As Mr AntiOsorio mentioned, regardless of who coaches Mexico, they probably would not advance past the round of 16 as they have failed to do in the previous seven world cups. So sacking this guy won’t help Mexico in the short term or the long term. Does the Mexican National team need more players in Europe in order to succeed? PROSORIO: Without question. Mexico aspires to be a consistent top 10 team in the FIFA rankings. In order for that to happen, Mexican players need to consistently play against the best players in the world. That is what players from the other countries in the FIFA Top 10 do on a consistent basis. 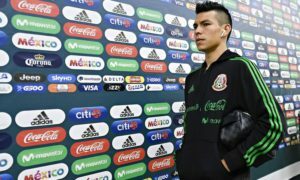 If a Mexican player can play in La Liga or in the Premier league or the Bundesliga and become a difference maker, that will only help Mexico’s national team. The key, of course, is that they have to play. They have to see the field. They have to make a difference. It will do Mexico no favors if a player goes over and warms the bench. ANTIOSORIO: Playing in Europe is not the be-all and end-all for footballers. For the most part, it has been detrimental to many players’ careers. The likes of Javier Aquino and Alan Pulido would be rottting on the bench had they stayed abroad. Ulises Davila was Chivas top prospect when Chelsea bought him and all they did was turn him into a journeyman who only played in the lower leagues. We are still being sold on the idea that going to Europe will make players better but that is just not the case. Let us remember that FIFA had to make a rule to protect under 18 players after scouts kept taking prospects from Africa and South America to Europe. A good portion of these kids ended up homeless after the clubs would unceremoniously dump them. This is not to say players should not go abroad but they should only do so under favorable conditions. We’ve seen what happens when players under value themselves in order to play abroad and even take pay cuts. They usually return on the first flight back home struggle to be taken seriously, like Memo Ochoa. Osorio’s tactics: help or hindrance? ANTIOSORIO: In the grand scheme of things I’d have to say that JCO’s tactics have been a hindrance. 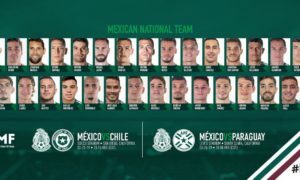 Constantly changing line-ups and switching player positions has weakened what should be a Mexican team that, at its best, with its top players in the field, is rated #16 in the FIFA rankings. JCO, however, likes to rotate the squad to rest players or counter the rivals tactics. Those changes do nothing but lower Mexico’s quality. This was especially apparent at the Gold Cup where the B team was strong enough to challenge for the Cup but struggled against weaker opponents and was eventually bested by a modest Jamaican team. We should also note that between the group match and semifinal encounter against the Reggae Boys JCO’s men failed to score a goal. PROSORIO: Is Juan Carlos Osorio fielding a team of neophytes and amateurs? Last I checked, his players are paid professionals who should have no problems facing the adversity of playing a little out of their comfort zone. Mexico has yet to give up a goal on set pieces in the Osorio era, which, as we all know has been a historical Achilles heel. He has also set up his team to go lean heavily on offensive playersa against more limited teams. Those games against Jamaica saw Mexico attack with 7-8 players consistently. If the players can’t find a way to crack the walnut, that is on them.